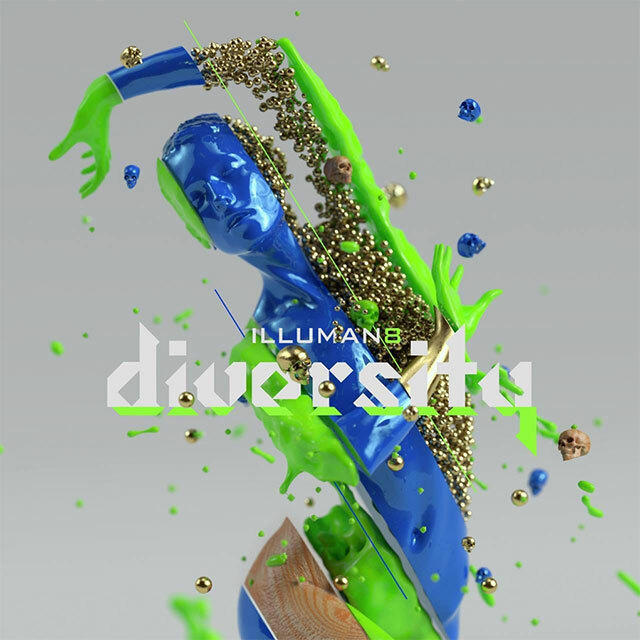 Illuman8’s latest psytrance EP Diversity shows a deep understanding of sound production, musical theory and control of dancefloor energies, weaving a compelling narrative through pounding percussion and lush soundscapes. Carefully selected vocal samples tell interesting stories throughout the EP, captivating the listener while percussive elements weave and shift. Canberra’s Illuman8 give his multi-instrumental skills a work out, with guitar riffs and soulful piano lines that reflect his years of experience as a musician. In Diversity, tension rises and falls, and there is enough quality and depth in the sound production to reward multiple playthroughs. ‘Bio’ is the standout track, with deliciously organic drum fills and an engaging story about connecting with nature that encourages the listener to reflect on past experiences through a new lens. The beautiful piano part adds a jazzy feeling and stands out from the rest of the alien and unfamiliar synthesized sounds in the song. ‘ReApply’ feels like a weak point by comparison – Matrix samples have been done to death and ‘ReApply’ fails to approach the story in an exciting way. It is still a powerful prime-time dancefloor tool, with high octane bass wobbles contrasting with sleek Rhodes keys. ‘Empathy’, is a far more emotionally powerful song, with a chill-inducing breakdown. Vocal stutters and shifts flow alongside dreamy pads, creating a beautiful soundscape. ‘Metaverse’, a more playful track, has an incredible change of pace about five and a half minutes in, where Illuman8’s percussion is brought to the center stage and dominates the low end in a hugely satisfying way. Staying true to the genre’s form and sonic characteristics, Illuman8 has produced a mature, complex and danceable EP. Have a good listen to these tracks – it’ll make it all the more enjoyable when you hear them get played in the bush.